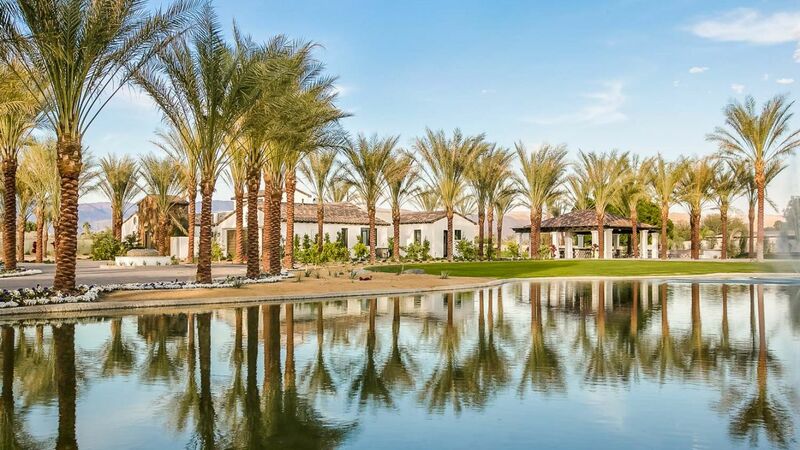 Hacienda at Coachella is one expansive and exquisite estate that is perfect for a group holiday or for important events. 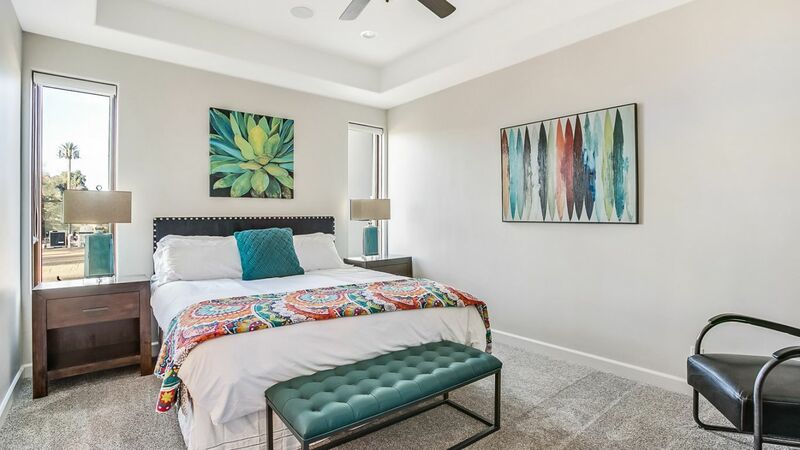 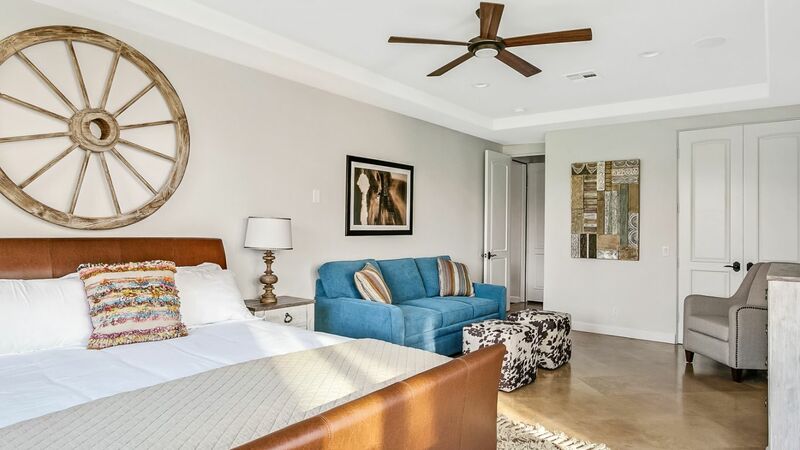 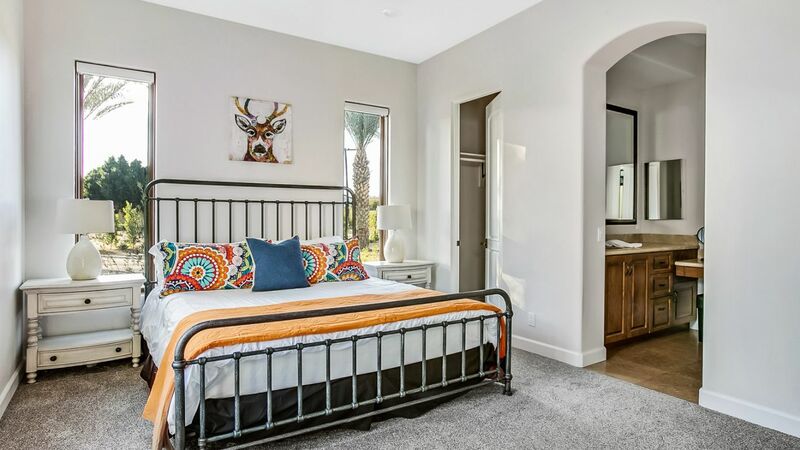 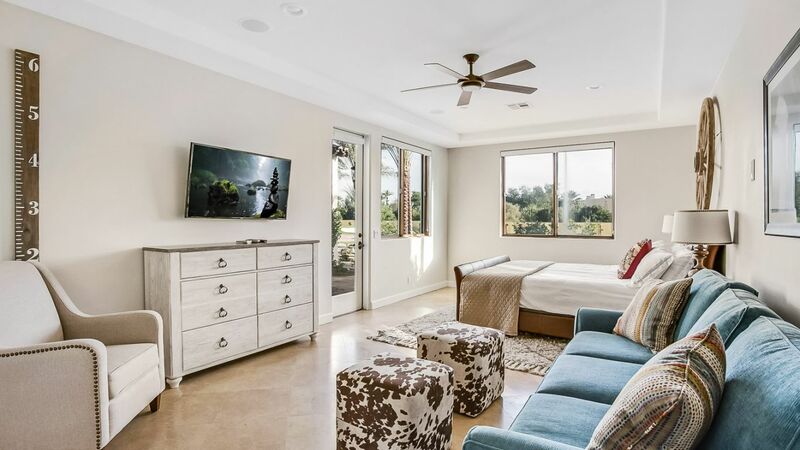 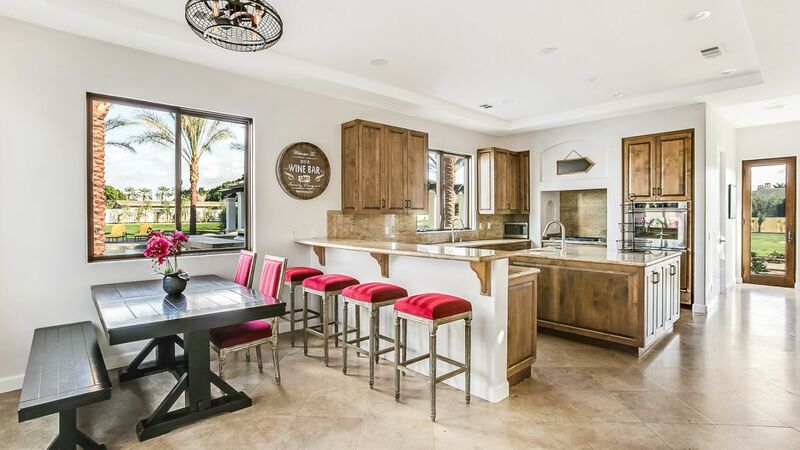 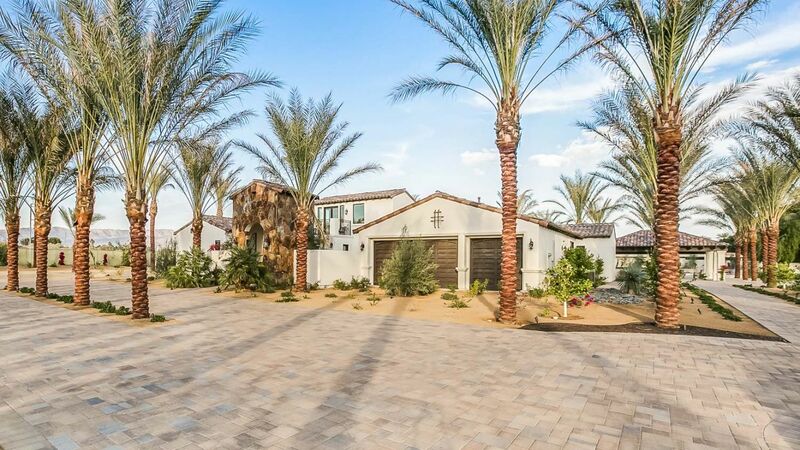 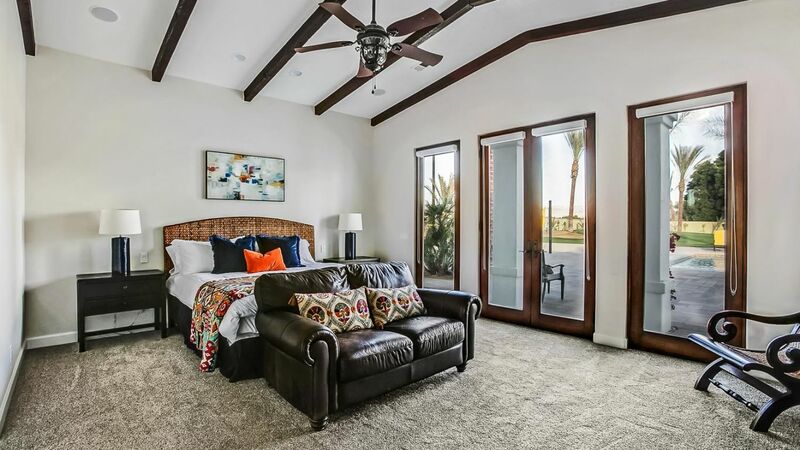 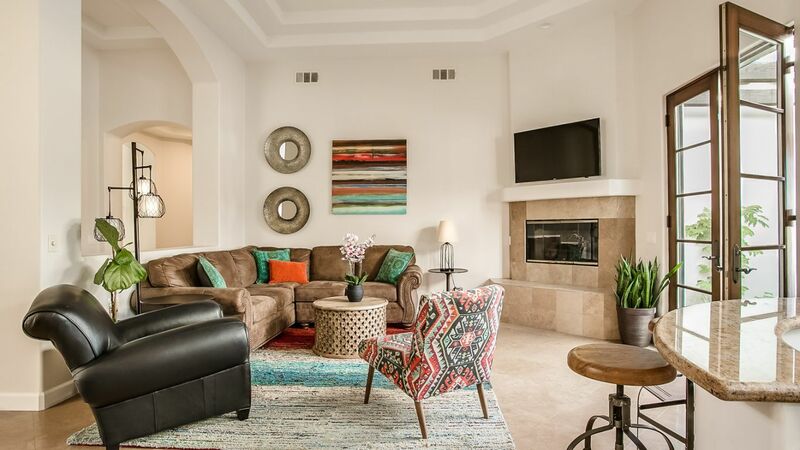 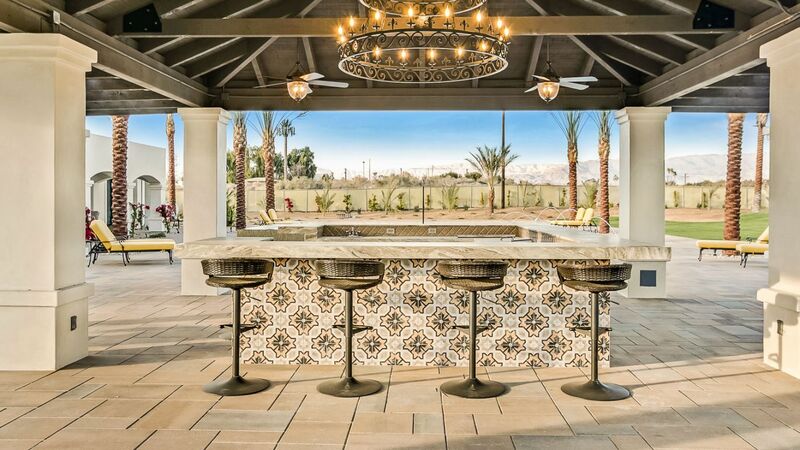 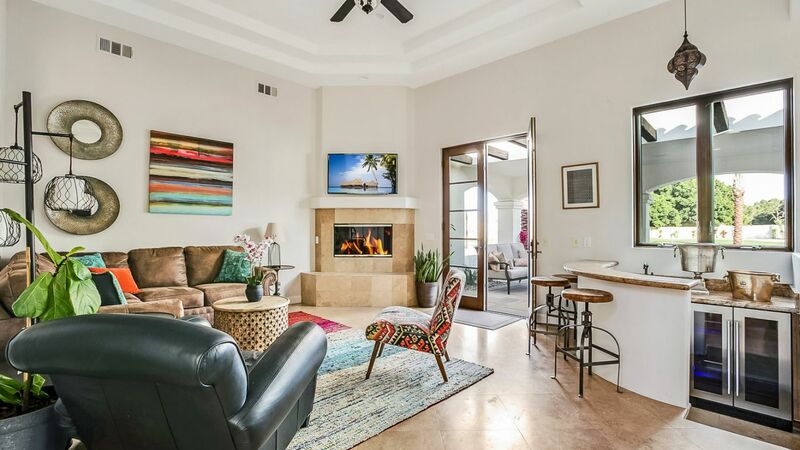 Not only is this vacation rental thoughtfully appointed, it’s conveniently located less than a 10-minute drive from the Coachella festival grounds, two golf courses, and shopping and dining in both downtown Indio and charming Old Town La Quinta. 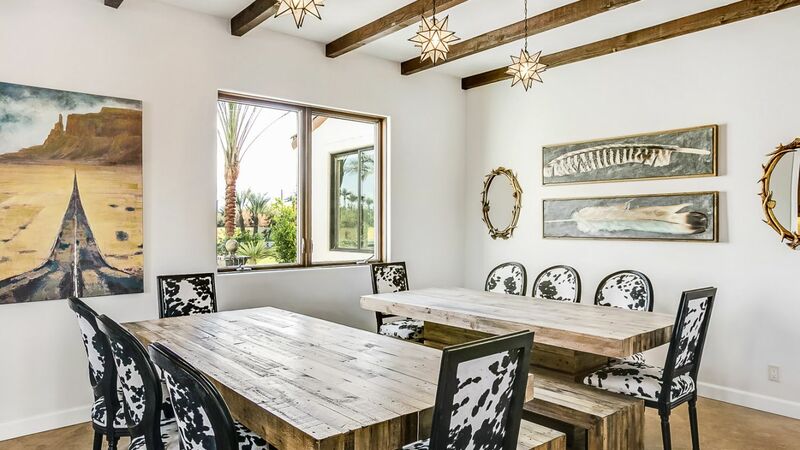 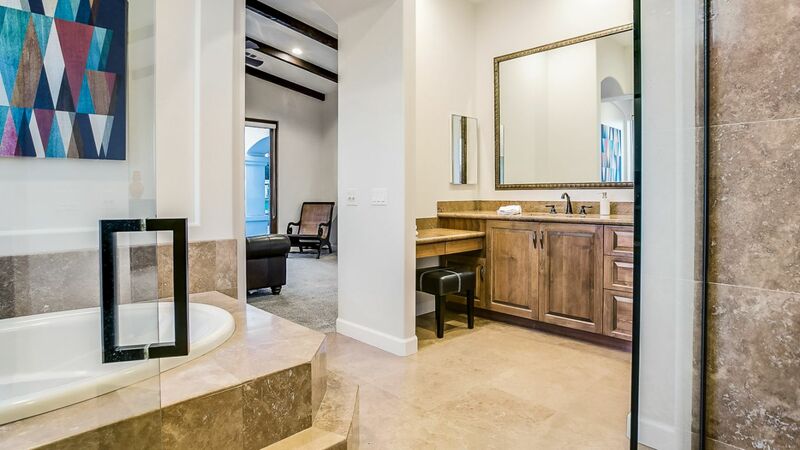 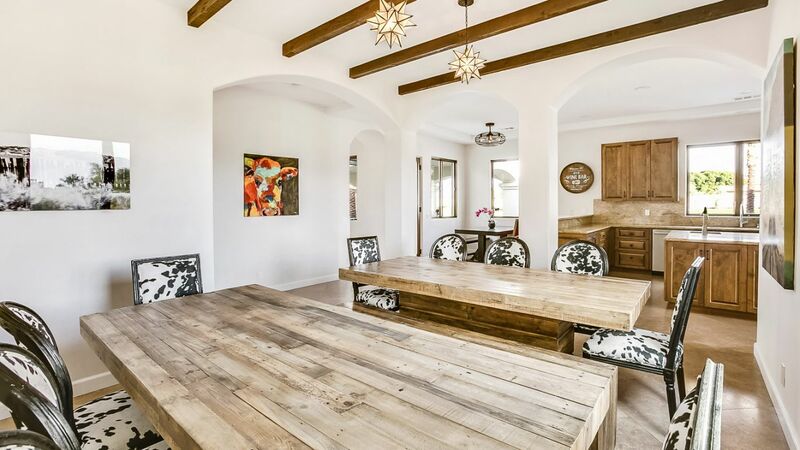 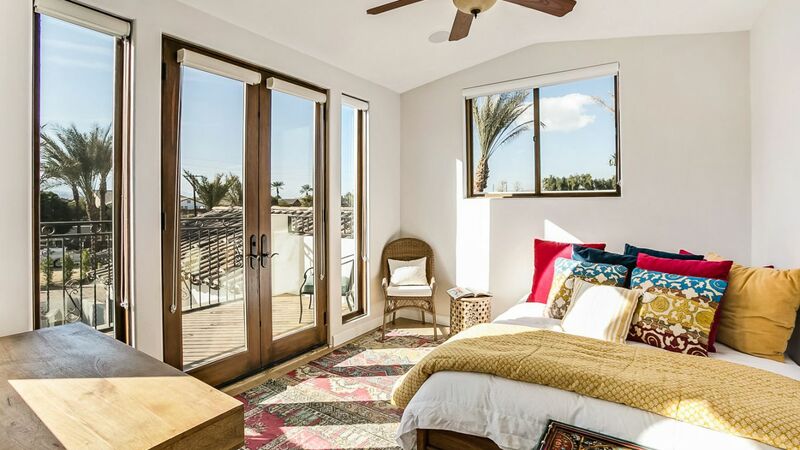 Inside, the residence combines traditional Southwestern style with a more modern boho look. 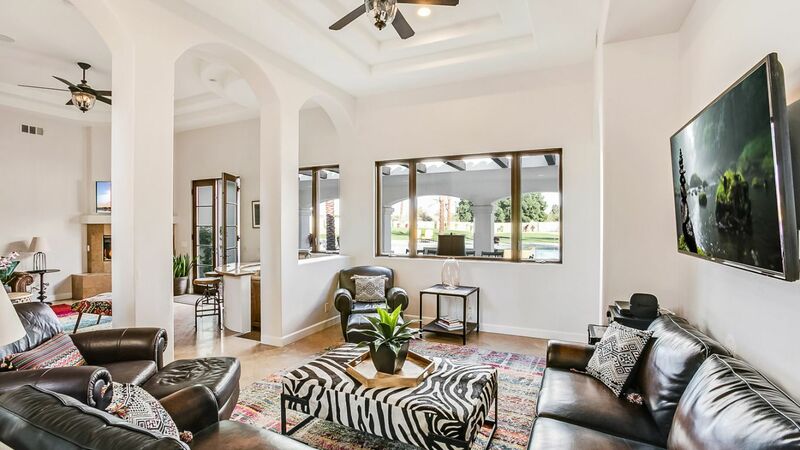 High ceilings and pale stone floors frame the two bright living rooms, which are separated by graceful archways, and the formal dining room takes a rustic feel from its beamed ceilings. 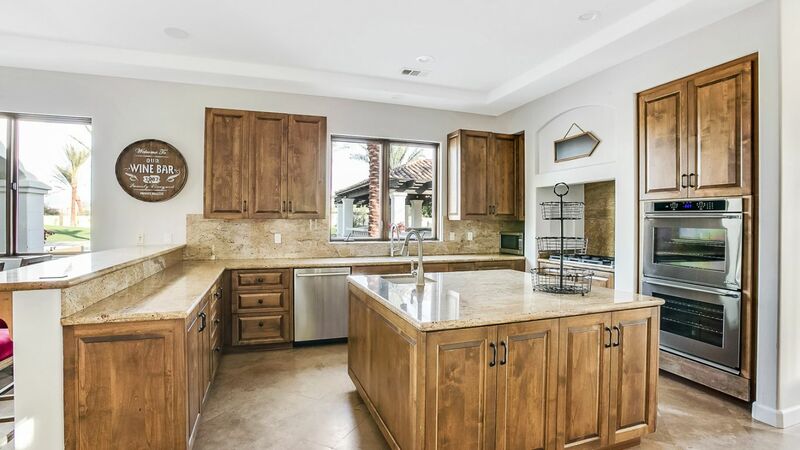 There’s also a fully equipped kitchen with a breakfast bar as well as a breakfast table. 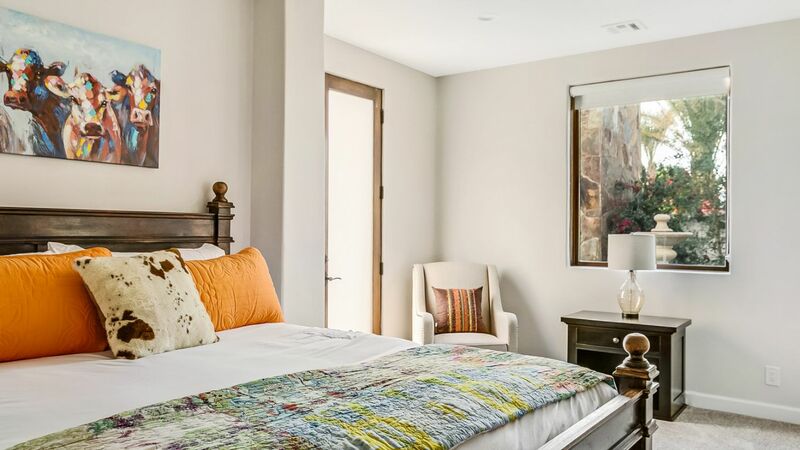 The estate has five bedrooms with king beds, three of which have en-suite bathrooms, including a honeymoon-worthy suite with a jetted tub and terrace access. 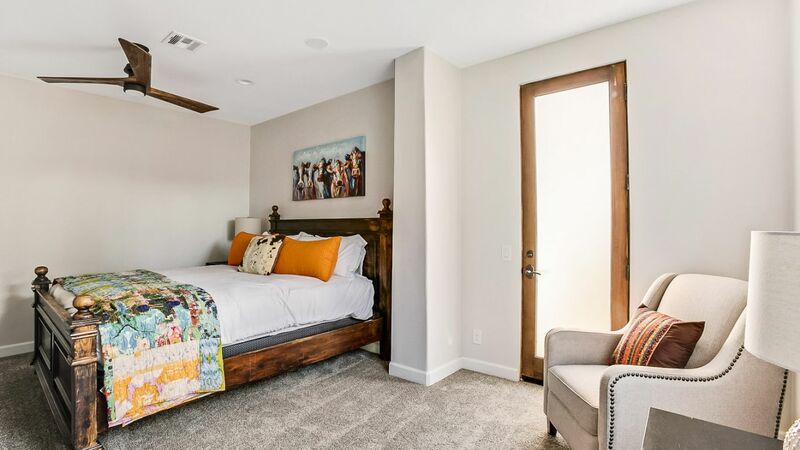 The other two bedrooms share a bathroom and are ideal for parents traveling with children. 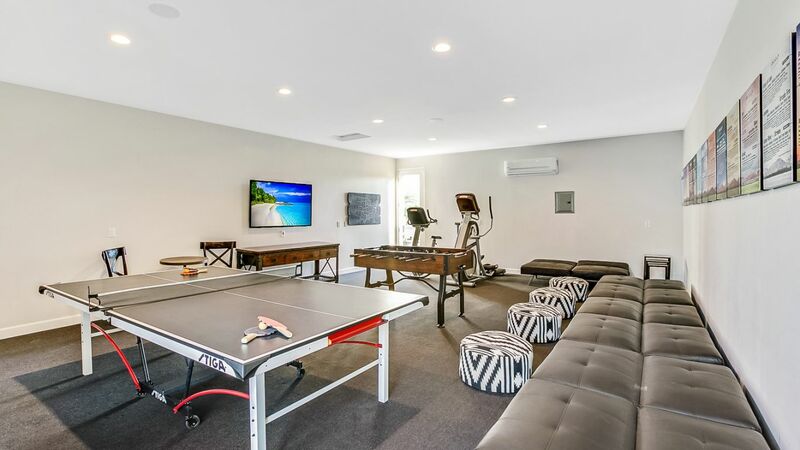 Inside, get to enjoy the luxury amenities that range from a games area with ping-pong and pool tables to a wet bar, TV and Wi-Fi. 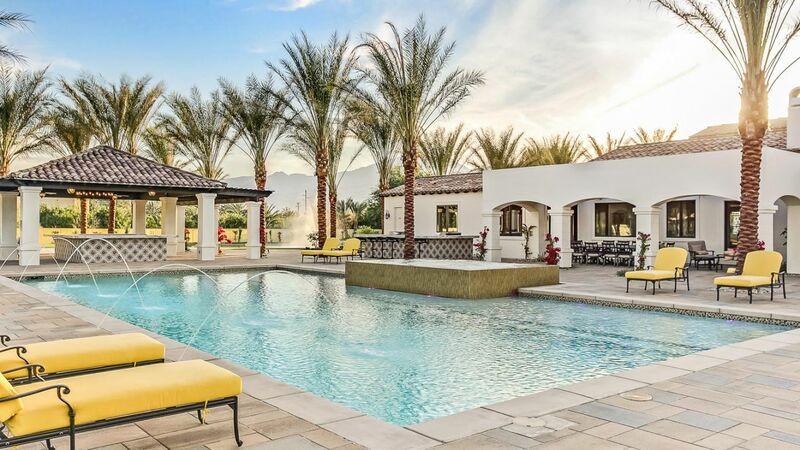 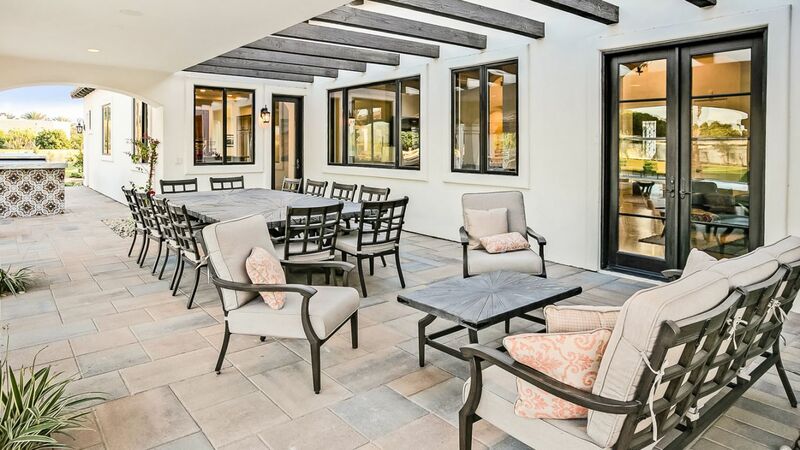 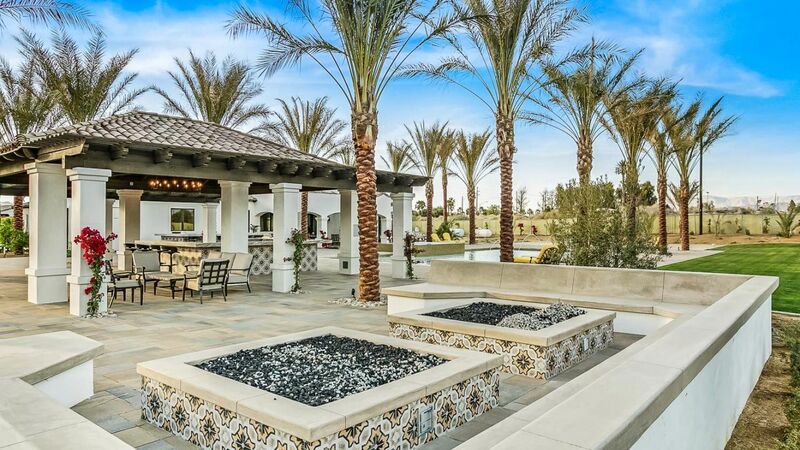 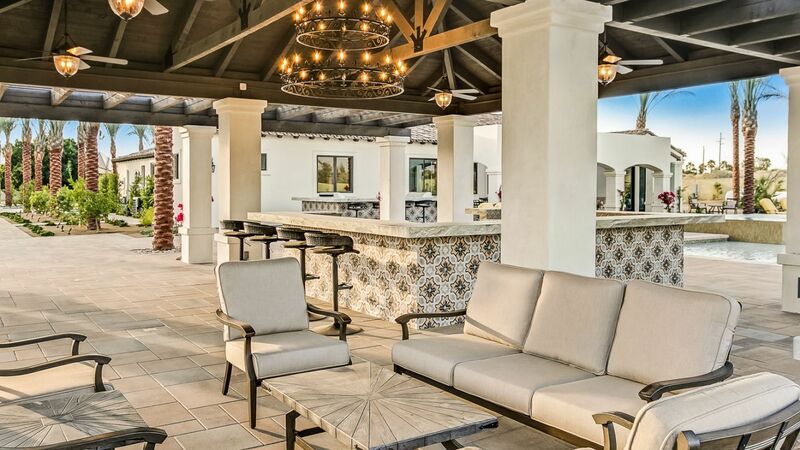 Your holiday at this gorgeous estate includes the use of the property’s beautiful grounds, which feature an oversized pool, hot tub, three-hole golf course, beach volleyball court, lounging and dining areas, a firepit and an outdoor kitchen with a barbecue. 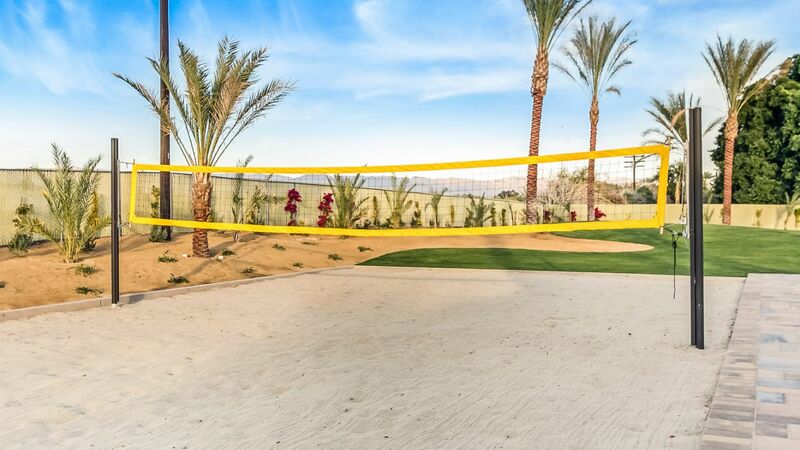 Indio has earned its reputation as an international "City of Festivals". 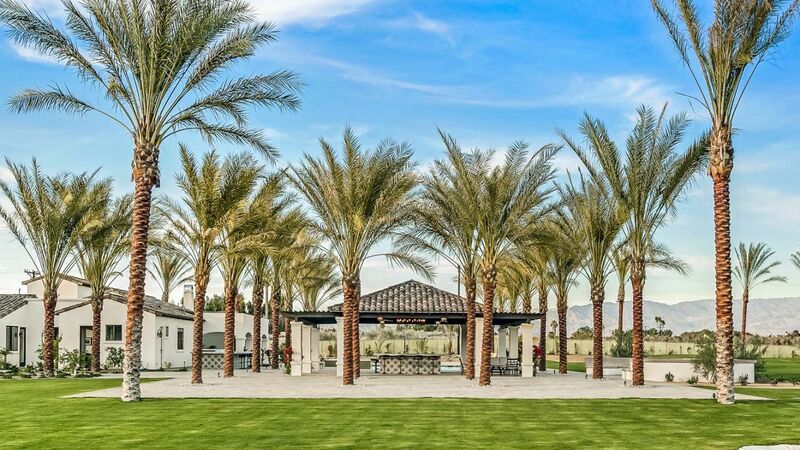 The birthplace of the Coachella Music & Arts Festival, Indio annually hosts a variety of music, food and art festivals. 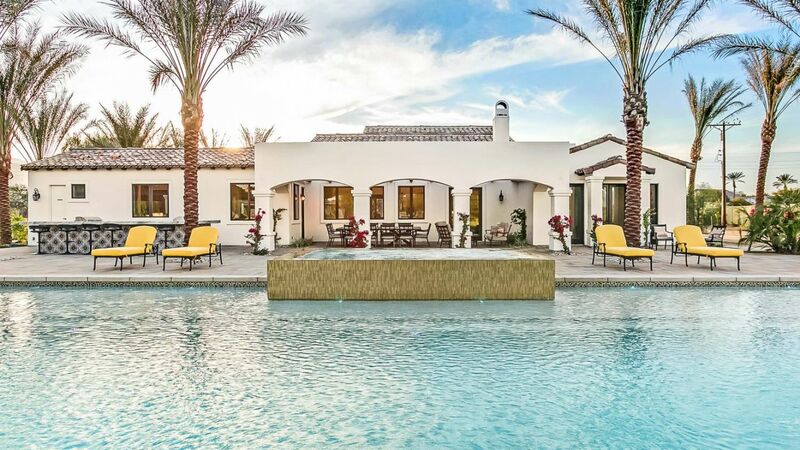 Warm climate and picturesque scenery makes Indio a perfect place to enjoy a day with friends soaking up the history and culture of festivals attended by hundreds of thousands each year from around the world.